After two years at the bottom of the Netflix internet service provider (ISP) speed index leaderboard, Telstra has caught up and has now the highest speed. Every month, Netflix Australia ranks six of the country’s ISPs based on the streaming provider’s own calculations of download speeds during prime time. From April 2015, a month after Netflix landed in Australia, until August 2017 Telstra was listed as the slowest provider. But from September 2017, the telecommunications giant started to climb up and has been the fastest provider since February 2018. In both February and May Telstra shared the top position with Exetel, a privately held company founded in 2001. Exetel claims to be Australia's largest independent internet service provider. In June, Telstra speed according to Netflix reached 3.86 Mbps, the highest recorded so far in Australia - Optus went up one spot, claiming second with 3.71 Mbps. Exetel was third, going down one spot, with 3.70 Mbps. iiNet followed with 3.64 Mbps, Dodo/iPrimus with 3.61 Mbps and TPG was at the bottom with 3.59 Mbps. From a regional perspective however, Australian ISPs are still lagging behind when it comes to Asia Pacific providers. Australia is number seven on the list which has Hong Kong’s Netvigator in the top position with speeds of 4.21 Mbps and New Zealand’s Trustpower claims number four with 3.91 Mbps. Netflix calculates the average bitrate of Netflix content in megabits per second (Mbps) streamed by Netflix members per ISP - it measures the speed via all available end user devices. 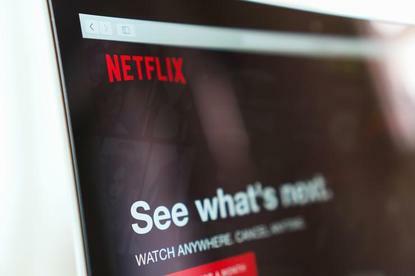 For a small number of devices, Netflix cannot calculate the exact bitrates and streaming via cellular networks is exempted from its measurements. The speed indicated in the Netflix ISP Speed Index is not a measure of the maximum throughput or the maximum capacity of an ISP, according to the company.